This all started on Sunday evening in the Rio de Janeiro airport. Due to flight delays, we ended up having a 10-hour layover in Rio and our final flight didn’t take off until 2:30am, but we were lucky enough to get to pass the time in an airport lounge (that’s where being a consultant and an ex-consultant comes in handy!). 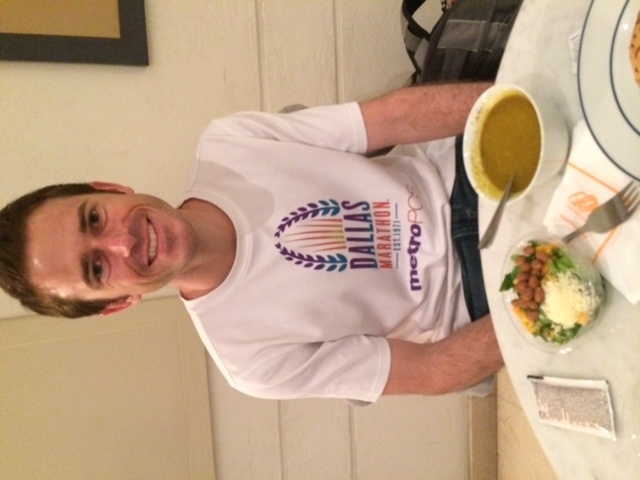 We were skeptical of the food in the airport lounge, but both decided to give the vegetable soup a try. Kevin had been sick for a few days by this point (can you tell in the picture? ), and between the wedding festivities and the travel, I wasn’t feeling like the best version of myself either. Anyway, when I recreated the Rio-airport-lounge soup, Kevin’s sickness had crept back, but he’s finally getting better, so I’m going to claim that this soup has healing powers! (Plus, “Healing Vegetable Soup” sounds a whole lot better than Rio-airport-lounge-soup, right?!) Garlic has been used as a healing ingredient for thousands of years (there’s even a book called “The Healing Power of Garlic” … proving that you can find a book for almost anything!). And, of course, the antioxidants that are jam-packed into colorful vegetables are critical to reducing inflammation (which can be caused by sicknesses) and strengthening your immune system. Chop all of your vegetables. They don’t need to be bite-sized, because you’ll be blending them, but you’ll want them in somewhat uniform sizes so they cook evenly. Add olive oil to a large soup crock, and sauté chopped onions and garlic 2-3 minutes, or until beginning to soften. Add chopped celery, zucchini, carrot, and parsnips, and sauté another 5-6 minutes, or until all vegetables are beginning to soften. Add broth and pepper, stir, and bring soup to a boil. Add kale, cover soup, reduce heat to low, and allow to simmer 35 minutes or more (the flavors get even more complex if you let it simmer longer, so don’t feel that 35 minutes is a distinct cut-off). Transfer entire soup mixture into a large blender. If you don’t have a Vitamix, be sure to tilt the lid slightly or allow some way for steam to escape. 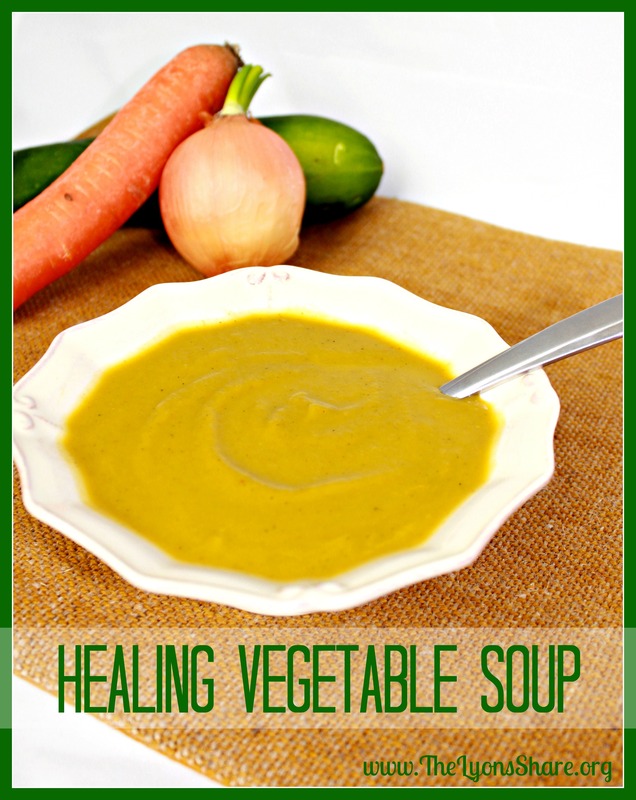 The vegetables should be soft enough that pureeing the soup is very easy. Pour into 4 bowls and enjoy! OK, please tell me you noticed something new about my recipe … I’ve finally installed a recipe plug-in to make it much easier for you to read and save The Lyons’ Share recipes! If you click on the “Print” icon in the upper right corner of the recipe box, you’ll be able to print the recipe only in a friendly format. The blue “Save Recipe!” icon to the left of the “Print” icon will allow you to save this recipe to a recipe “box” on Ziplist. (You’ll have to register for a free account – I don’t get anything in exchange for you doing this, it’s for your benefit only). Ziplist can also help you search for other recipes, print grocery lists, and more! I will slowly be converting all of my previous recipes to the Ziplist format as well, so soon this process will be much easier for you! (I started with Healthy Cauliflower Fried Rice, Take Two, so that one is ready for you! … it takes me a while since I have to re-size all my pictures and reformat everything!) Let me know if you like it or have any suggestions. One last thing … you may remember me participating in “Meatless Monday A to Z” (my Super (Bowl) Veggie Fries and my Secretly-Healthy Blueberry-Oat Muffins, for example). 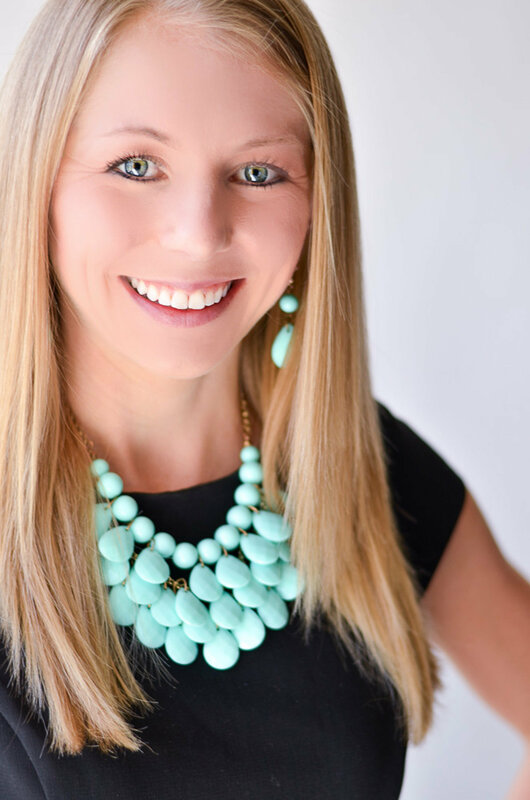 This month, MMAZ didn’t fit into my schedule, but Heather encourages readers to make another blogger’s recipes for a “Cook” link-up, so I made it my goal to participate! I made the vegan Cheesy Salsa Sauce from Sandy at Vegans Eat Yummy Food Too! 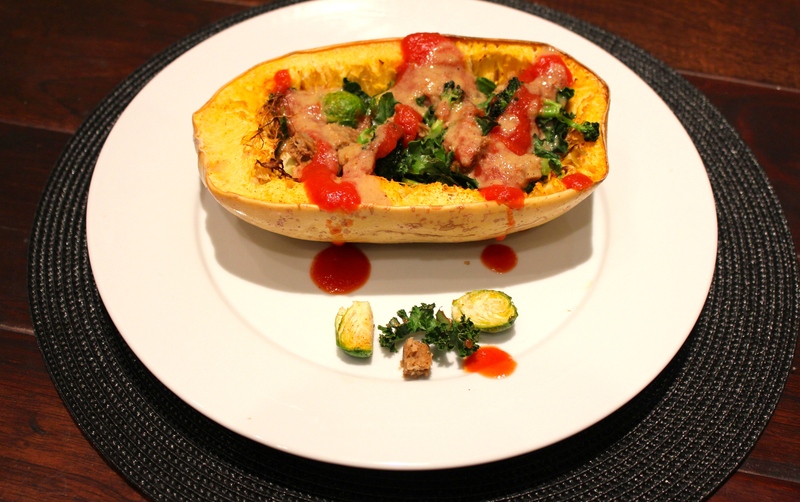 I topped some spaghetti squash with roasted kale, broccoli, and Brussels sprouts, a chopped up Sol veggie burger, tomato sauce, and the Cheesy Salsa Sauce, and loved it! It didn’t taste exactly like the “real” nacho cheese sauce I used to eat at football games, but I honestly think that’s a good thing! It’s very light and healthy – give it a try, or check out other MMAZ recipes from February (Queso or Raisins) … you still have time to cook them before the link-up on Monday! 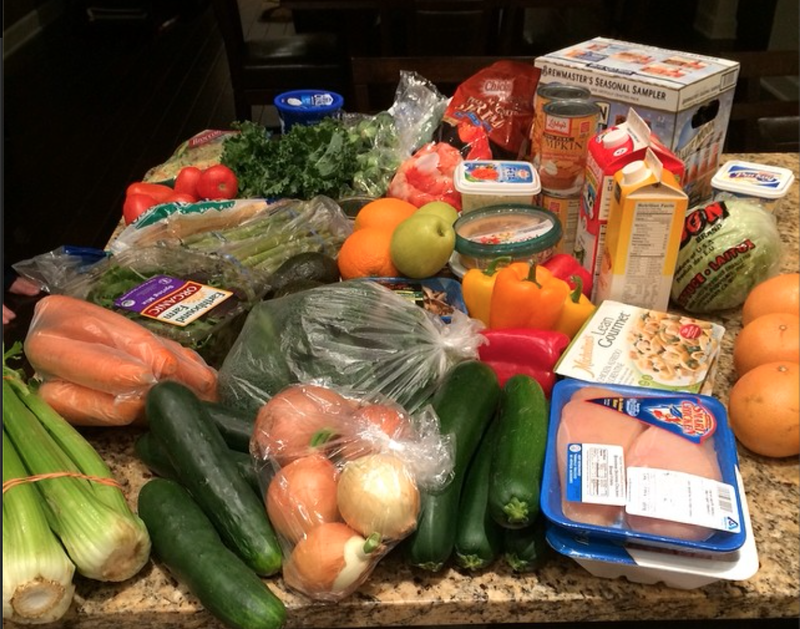 So tell me in the comments … What foods do you go to when you’re feeling sick? Have you ever tried to re-create an airport food?!? Do you like my new recipe format? Awesome! Glad Kevin is feeling better. I drink lots of water and eat vegetable soup when I’m not feeling well! I literally just figured out the printable recipe thing on my blog a couple of days ago too. It’s awesome! Happy Friday Megan!!! Yes – water is critical. Great tip, Angela! Happy Friday to you and Enoch, too! 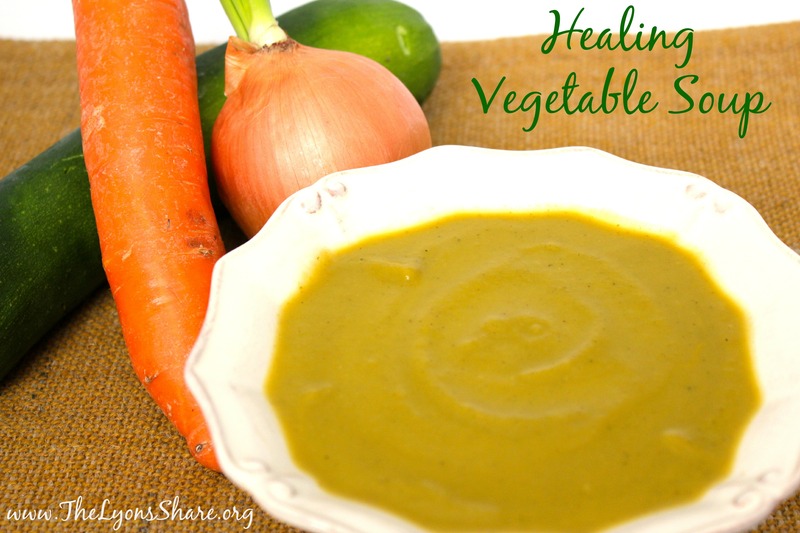 There are a lot of healing properties in the veggies you used…and it looks delicious! I love that you blended it up. Yum! I only blended it up because that’s the way the airport soup was, but I actually loved it that way! The flavors all melded together! Thanks, Laura. Love the plug-in – it makes everything look very professional and easy to manage! Also love the soup – and soup is one of those things that when you are feeling lousy, or in sub-zero temps, just makes you feel great. I have been making a mix of chicken soups (barley and noodle varieties), vegetable soup (not pureed, just chunky), black bean, and vegetarian chili. Will have to check out this recipe! Glad you guys are doing better! Thanks, Michael! Only problem is that it didn’t show up for my email subscribers. Hmmm … I’ll be working on that! I couldn’t agree more that soup is a perfect comfort food. I usually do make crockpot soups more similar to the ones you mention (chicken + a grain or chunky vegetable) but this blended version was a nice twist! Wow – I didn’t even notice! It is funny, I always just click through to the site. I still have that RSS mindset – where you don’t get credit for clicks/hits unless I actually hit your site, so if I am reading your stuff I make sure to visit to read. Thanks … except it didn’t show up in my emails! Nothing is ever easy (especially when it involves me and technology – ha! I’m currently feeling the stresses you had from a few weeks ago because I have a redesign coming soon!). Lately I’ve been the one feeding my mom (I brought her this soup too!) but I love that your mom stocks up your freezer :). OHH I love this!! I definitely gravitate to soup when not feeling that great! If I were to recreate airport food, it would be a box of dying crackers and a carton of water in those silly plastic containers! I’m stoked to hear you guys got some decent fare- and nice with the added plugin! Yikes! Don’t know how I NEVER RESPONDED TO THIS COMMENT, BUT IT MADE ME LAUGH. ONLY BECAUSE IT WAS A TOTAL JOKE BETWEEN KEVIN AND I … I SAID HE LOOKED TIRED IN THE AIRPORT, AND HE SAID “HEY, YOU CAN SAY THAT TO ME BUT I CAN’T SAY IT TO YOU?” AND THEN I ASKED IF I COULD PUT IT ON THE BLOG. GLAD YOU PICKED UP ON IT AND CALLED ME OUT – AND I CALLED MYSELF OUT TODAY ON INSTAGRAM! Oops, I am clearly struggling with my new blog layout stuff … didn’t mean for that to be all caps!! Ha! Healing or not: this soup sounds awesome. Especially with the parsnips which are ranking high on top of my list of favourite root vegetables. Funny to think its a recreation of an airport meal – sometimes you really find great foods in the unlikeliest of places, right? I actually haven’t been flying much at all in my life so far. Therefore I can’t say anything about airport meals but we once recreated a great vegetable couscous dish we had at IKEA. I love me some chicken soup when I’m not 100% well.